Sam was 21 when he first started experiencing hair loss in the mid-scalp and frontal zone. 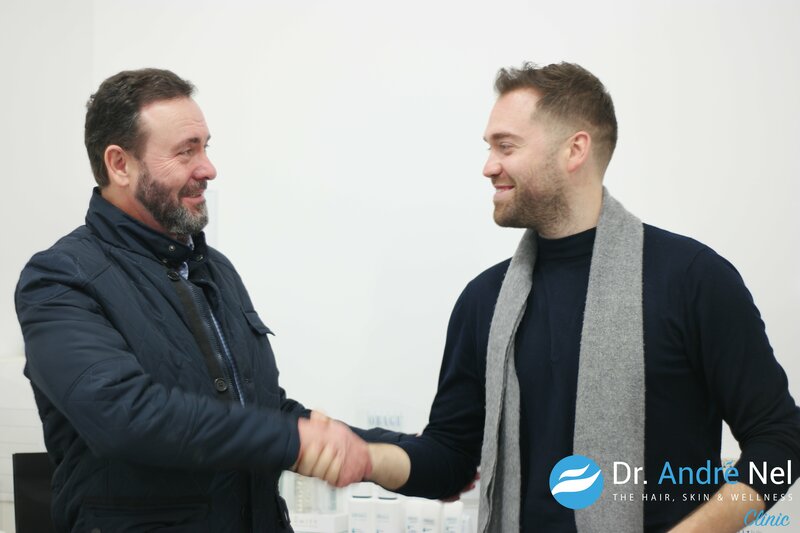 After meeting with Dr. André Nel of The Hair, Skin & Wellness Clinic to discuss all available options, Sam underwent a hair transplant - 2780 follicles, harvested via FUE. "I’m 31 now but I was 21 when I really noticed I was losing my hair. It started from the middle of the head first, rather than receding from the front. But it was a barber of mine who mentioned I was going really thin in the middle. That was the point where I started to think about it a bit more and then I noticed over time, roughly when I was about 23 or 24 that there was significant loss". “It didn’t make a significant impact but I certainly acknowledged that I was losing it and it didn’t leave me feeling particularly happy as a young man. Losing your hair is not ideal and it got significantly worse by the time I was 25. I lost a lot to the point where I needed to shave my hair off”. "I had a lot of hair on the sides, back and the crown but very little at the front. So my haircuts got worse and there was only so much I could do with it. One day I walked into a supermarket and a fan had blown my hair from one side to the other, and a friend looked at me and it just felt so obvious. I just knew at that point I had to let it go, so I shaved it all off. I moved a hot country and I had a tan so it looked alright but as I got older I started looking at myself in the mirror thinking I have aged too soon. For me it was about looking young again as much as it was about looking good, but it’s different for everybody though. I genuinely feel like it’s taken years off me". "I chose The Hair Skin and Wellness Clinic because I was getting Dr. Nel. I just felt he was the right man for this procedure for me. I had done enough research on Dr. Nel to know I was in safe hands". 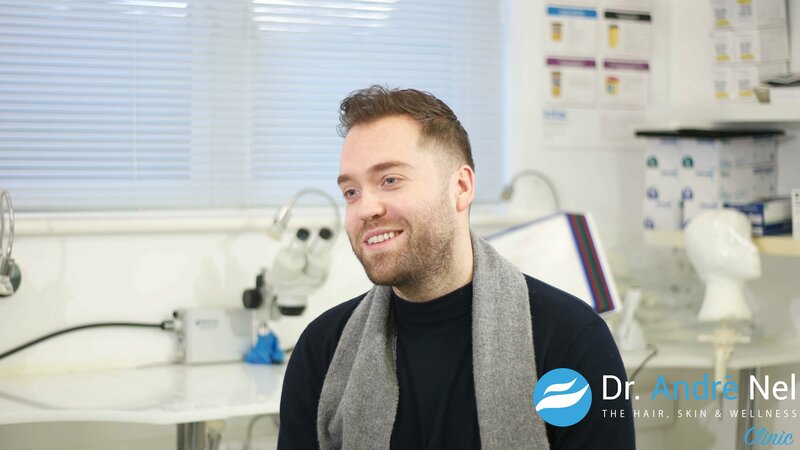 “I think the difference between Dr. Nel and other respected consultants was that his goal was to give me the right information as apposed to getting me booked in for a transplant. Having said that, I did meet with some really great consultants. I just felt that their priorities were not me and it was more about their business. With Dr. Nel, I learned a lot throughout the process. There was so many things I didn’t know. 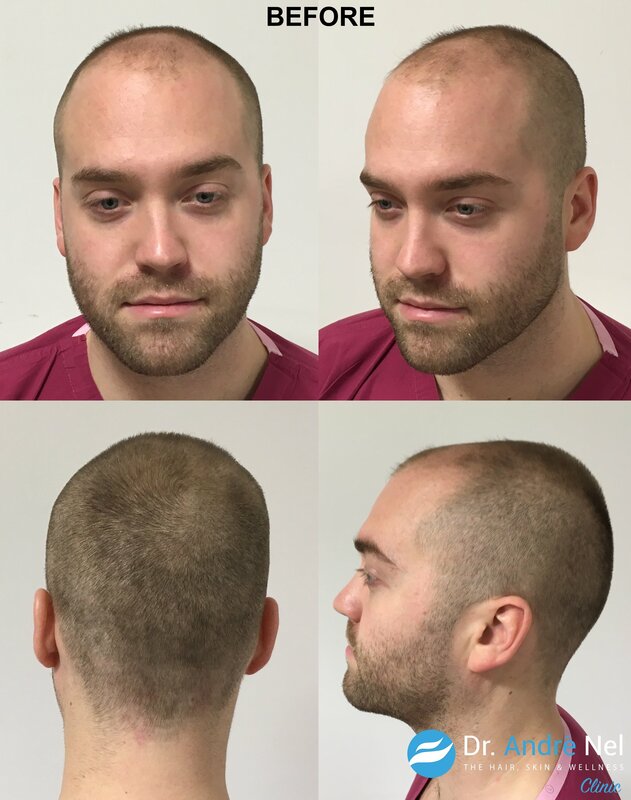 It wasn’t just about the surgery, he wanted me to know the background of why I was losing my hair. He was there to educate me as a patient". "The procedure itself was fine, it wasn’t painful at all. It helps that you’ve got quite a few people in the room to talk to. Although everybody is focused and has the job in hand, they're going out of their way to make sure you have a great experience". "I was never really nervous about getting it done, but I was nervous if I chose the wrong person to have it done with. So my advice would be to think it through carefully and if they want to have a chat with me I’m happy to tell them what I know. I think because I’ve gone through this experience it’s nice to tell people about the pros and cons. I would just recommend you get it done with the right people. I’ve had that experience and I know it’s gone right for me". "I was a confident person before, I think the difference is you don’t walk into a room anymore thinking people are looking at me when I’m bald. That's the great thing about me having this hair transplant, it just removes that concern or worry about having hair loss. For me it’s made a massive difference, a huge difference". "My biggest concern was if my hair line would look natural. Dr. Nel spent a lot of time going through and re-creating what my hairline would look like. That is what filled me with confidence that I was going to have the right kind of hair line". 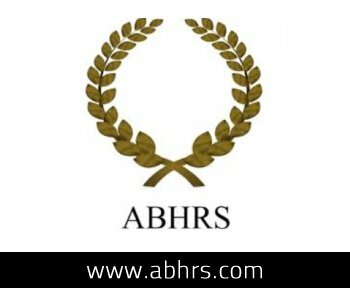 "My best advice to anyone who is considering a hair transplant, just get a consultation, because I think you can over research stuff. 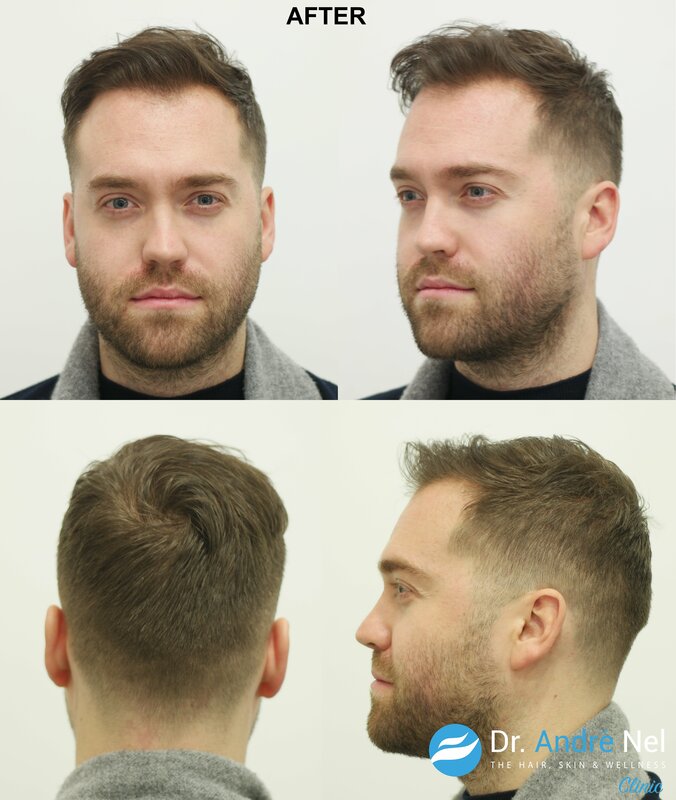 If you’re the type of person who’s losing their hair and think they might need a hair transplant, don’t mull it over, just go see somebody like Dr. Nel who can advise you". If you have a concern about hair loss and would like to learn more about what treatment options are available to you, contact The Hair, Skin & Wellness Clinic today.